PMCteam specializes in coaching a business all the way from Concept, to Strategy to the actual “making-it-happen” implementation plans. The focus of each coaching engagement is focused on achieving a specific business objective. With the core belief that “nothing happens till someone buys your product or service” the focus is to coach and guide the “C” level management, Sales, Support, Marketing and Market alignment teams. PMCteam has broad experience across industries such as Telecommunications, Banking & Finance, Retail, Manufacturing, IT, Distribution, and others. PMCteam helps companies to improve profitability by targeting inefficiencies, minimizing expenses and increasing revenues. Also guides the companies to look ahead and build the business for the next wave. PMCteam has led companies into “new” ways of thinking to complete new product ideas. PMCteam interweaves new wave technologies and how best to leverage them for quantum growth. 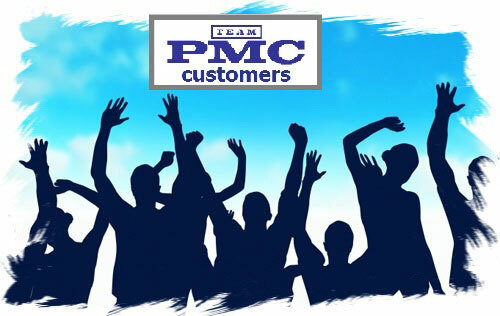 PMCteam also specializes in transforming marketing and sales teams from mere order takers into pro-active, profit-driven units that take full ownership of the corporate results allowing the corporations to leapfrog their sales ahead of planned expectations, (using the SPAANCO & TNIDO methodology). Entrepreneurs are often thought of in terms of the risk they assume. Even the dictionary describes an entrepreneur as one who assumes business risks. However, like all prudent businesspeople, entrepreneurs know that taking high risks is a gamble. Entrepreneurs are neither high nor low risk takers. They prefer situations in which they can influence the outcome, and they like challenges if they believe the odds are in their favor. They seldom act until they have assessed all the risks associated with an endeavor, and they have an innate ability to make sense out of complexity. These are traits that carry them on to success where others fail. Any successful entrepreneur will tell you that starting a business is not a get-rich-quick alternative. New businesses usually take from one to three years to turn a profit. In the meantime, you will do well to break even. During the business start-up stage, entrepreneurs do not buy anything they do not need, such as fancy cars. Most drive junk cars and use their surplus money to pay off debt or reinvest it in the business. Their focus is on creating a company with a strong financial base for future expansion. All successful entrepreneurs work long hours, which cuts into their personal life. However, long working hours are not unique to entrepreneurs. Many corporate managers and executives work well beyond the average forty-hour work week. The primary difference between the entrepreneur and his or her corporate counterpart is schedule control. In the corporate world, you may not have control over your schedule. If some higher-level manager calls a Saturday meeting, you’ve got no choice but to be there. Entrepreneurs don’t mind working sixty- to seventy-hour weeks, but they will do everything they can to preserve their private time. They schedule important meetings, during the week so that they can have weekends off for their personal life, which is very important to them. We are all aware of a few “high-tech” entrepreneur wizards, such as Microsoft’s Bill Gates, who have made it. Media attention overplays the success of these few high-tech entrepreneurs. Only a small percentage of today’s personal businesses are considered high tech, and what was considered high tech just a few years ago is not considered high tech by today’s standards. It takes high profit margins, not high tech, to make it as an entrepreneur. One has only to look at the recent problems that have plagued the computer industry to understand this basic principle. High-tech personal computers did very well when they made high profit margins. The industry went into a nose dive when profits fell. Initially, entrepreneurs might work alone on a business idea by tinkering in the solitude of their garage or den. However, the astute entrepreneur knows that he or she must draw on the experience and ideas of others in order to succeed. Entrepreneurs will actively seek the advice of others and will make many business contacts to validate their business ideas. The entrepreneur who is a loner and will not talk to anybody will never start a successful business. A recent study of successful entrepreneurs showed that most of them worked for a large corporation for a number of years before they started their own business. In every instance, they used the corporate structure to learn everything they could about the business they intended to establish, before they started. Entrepreneurs are not job hoppers. Entrepreneurs know that venture capital money is one of the most expensive forms of funding they can get. Consequently, they will avoid venture capitalists, using them only as a last resort. Most entrepreneurs fund their business from personal savings or by borrowing from friends or lending institutions. Some believe that to make it as an entrepreneur, you have to be deceptive and step on anybody who gets in your way. On the contrary, this mode of operation doesn’t work for the entrepreneur. The truly deceptive entrepreneur will not be able to seek help from others or retain suppliers or customers. He or she will ultimately fail. 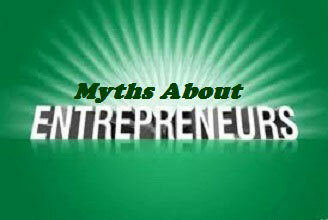 That entrepreneurs are not dedicated to any one thing is a myth. Dedication is an attribute that all successful entrepreneurs exhibit. They are dedicated to becoming their own boss. To this end, they’ll conduct extensive research campaigns into the advantages and disadvantages of their business ideas in their dedicated drive to start a business. A series of interviews were conducted with distinguished entrepreneurs. 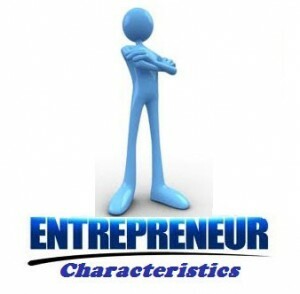 They were asked what characteristics they felt were essential to success as an entrepreneur. Good health was a characteristic mentioned by every entrepreneur interviewed. Entrepreneurs are physically resilient and in good health. They can work for extended periods of time, and while they are in the process of building their business, they refuse to get sick. In small businesses, where there is no depth of management, the leader must be there. You may not be able to afford a support staff to cover all business functions, and therefore you will need to work long hours. We all know people who use part of their sick leave each year when they are not sick. Entrepreneurs are not found in this group. At the end of the eight-hour day, when everyone else leaves for home, the entrepreneur will often continue to work into the evening, developing new business ideas. Entrepreneurs do not function well in structured organizations and do not like someone having authority over them. Most believe they can do the job better than anyone else and will strive for maximum responsibility and accountability. They enjoy creating business strategies and thrive on the process of achieving their goals. Once they achieve a goal, they quickly replace it with a greater goal. They strive to exert whatever influence they can over future events. In large, structured organizations, entrepreneurs are easy to recognize by the statements they make: “If they wanted that job done right, they should have given it to me.” A dominant characteristic of entrepreneurs is their belief that they are smarter than their peers and superiors. They have a compelling need to do their own thing in their own way. They need the freedom to choose and to act according to their own perception of what actions will result in success. Entrepreneurs are self-confident when they are in control of what they’re doing and working alone. 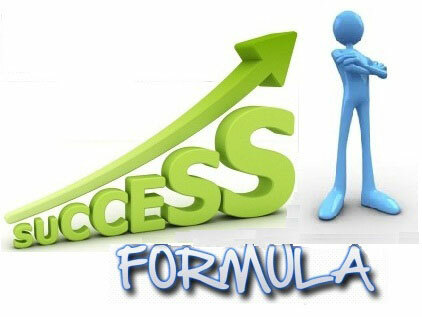 They tackle problems immediately with confidence and are persistent in their pursuit of their objectives. Most are at their best in the face of adversity, since they thrive on their own self-confidence. Entrepreneurs have a never-ending sense of urgency to develop their ideas. Inactivity makes them impatient, tense, and uneasy. They thrive on activity and are not likely to be found sitting on a bank fishing unless the fish are biting. When they are in the entrepreneurial mode, they are more likely to be found getting things done instead of fishing. Entrepreneurs prefer individual sports, such as golf, skiing, or tennis, over team sports. They prefer games in which their own brawn and brain directly influence the outcome and pace of the game. They have drive and high energy levels, they are achievement-oriented, and they are tireless in the pursuit of their goals. Successful entrepreneurs can comprehend complex situations that may include planning, making strategic decisions, and working on multiple business ideas simultaneously. They are farsighted and aware of important details, and they will continuously review all possibilities to achieve their business objectives. At the same time, they devote their energy to completing the tasks immediately before them. Accounting reports illustrate this characteristic. Accountants spend hours balancing the accounts and closing them out. For them, the achievement is to have balanced books. The entrepreneur only wants to know the magnitude of the numbers and their significance for the operation of the business. Entrepreneurs accept things as they are and deal with them accordingly. They may or may not be idealistic, but they are seldom unrealistic. They will change their direction when they see that change will improve their prospects for achieving their goals. They want to know the status of a given situation at all times. News interests them if it is timely, and factual, and provides them with information they need. They will verify any information they receive before they use it in making a decision. Entrepreneurs say what they mean and assume that everyone else does too. They tend to be too trusting and may not be sufficiently suspicious in their business dealings with other people. Entrepreneurs possess the ability to identify relationships quickly in the midst of complex situations. They identify problems and begin working on their solution faster than other people. They are not troubled by ambiguity and uncertainty because they are used to solving problems. Entrepreneurs are natural leaders and are usually the first to identify a problem to be overcome. If it is pointed out to them that their solution to a problem will not work for some valid reason, they will quickly identify an alternative problem-solving approach. Entrepreneurs find satisfaction in symbols of success that are external to themselves. They like the business they have built to be praised, but they are often embarrassed by praise directed at them personally. Their egos do not prevent them from seeking facts, data, and guidance. 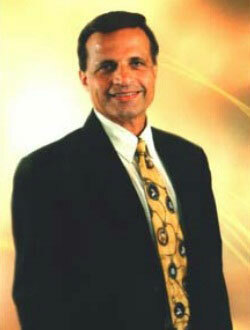 When they need help, they will not hesitate to admit it especially in areas that are outside of their expertise. During tough business periods, entrepreneurs will concentrate their resources and energies on essential business operations. They want to be where the action is and will not stay in the office for extended periods of time. Symbols of achievement such as position have little relevance to them. Successful entrepreneurs find their satisfaction of status needs in the performance of their business, not in the appearance they present to their peers and to the public. They will postpone acquiring status items like a luxury car until they are certain that their business is stable. Entrepreneurs are more concerned with people’s accomplishments than with their feelings. They generally avoid becoming personally involved and will not hesitate to sever relationships that could hinder the progress of their business. During the business-building period, when resources are scarce, they seldom devote time to dealing with satisfying people’s feelings beyond what is essential to achieving their goals. Their lack of sensitivity to people’s feelings can cause turmoil and turnover in their organization. Entrepreneurs are impatient and drive themselves and everyone around them. They don’t have the tolerance or empathy necessary for team building unless it’s their team, and they will delegate very few key decisions. As the business grows and assumes an organizational structure, entrepreneurs go through a classic management crisis. For many of them, their need for control makes it difficult for them to delegate authority in the way that a structured organization demands. Their strong direct approach induces them to seek information directly from its source, bypassing the structured chains of authority and responsibility. Their moderate interpersonal skills, which were adequate during the start-up phases, will cause them problems as they try to adjust to the structured or corporate organization. Entrepreneurs with good interpersonal skills will be able to adjust and survive as their organization grows and becomes more structured. The rest won’t make it. Entrepreneurs have a considerable amount of self-control and can handle business pressures. They are comfortable in stress situations and are challenged rather than discouraged by setbacks or failures. Entrepreneurs are uncomfortable when things are going well. They’ll frequently find some new activity on which to vent their pent-up energy. They are not content to leave well enough alone. Entrepreneurs tend to handle people problems with action plans without empathy. Their moderate interpersonal skills are often inadequate to provide for stable relationships. However, the divorce rate among entrepreneurs is about average.